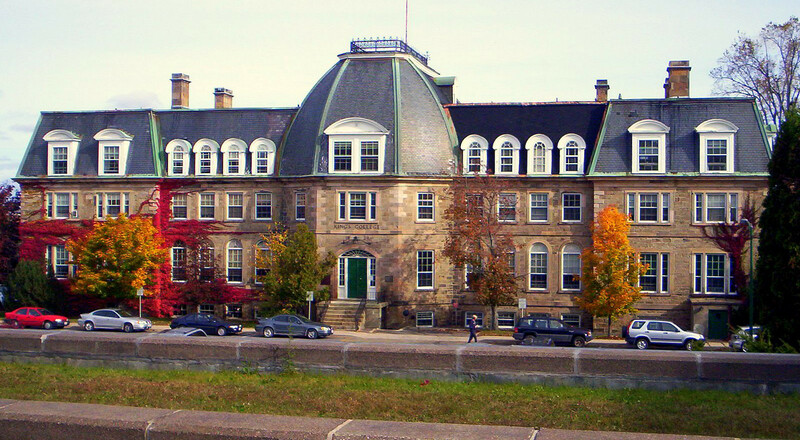 The University of New Brunswick (UNB) is Canada’s oldest English-language university. Established in 1785 in Fredericton, UNB now has two major campuses, with the Saint John campus founded in 1964. UNB has more than 75 undergraduate and graduate programs in 14 faculties. UNB is responsible for 75% of all publicly-funded research in New Brunswick and houses more than 20 leading research institutes and centres, and over 65 major research laboratories. In 2014, UNB was named Canada’s Most Entrepreneurial University by Startup Canada. Geomatics and Geographic-based programs are primarily centred in two faculties: Engineering through Geodesy and Geomatics Engineering; and through the Faculty of Forestry and Environmental Management. Through undergraduate and graduate education, students are exposed to a range of geographic concepts and methods, and have the opportunity to become proficient in a range of GIS technologies, including Esri programs and products. Through the ECCE program, UNB students have been successful in the App Challenge through the Esri Young Scholar program. In 2016, the Esri Young Scholar of the Year went to Marie France-Jones, a PhD student in Forestry and Environmental Management. This was preceded by the 2014, Shane Furze, also from Forestry at UNB. The ECCE program at UNB is an effort to consolidate and coordinate GIS activity at UNB, across multiple faculties. Through this program, students gain access to the many ECCE programs and resources offered by Esri Canada.